Perhaps one of the more under-recognized jazz trumpeters of the '90s, Hugh Ragin has spent quality time performing with the late trumpeter Lester Bowie, bassist John Lindberg, multi-woodwind specialists Roscoe Mitchell, David Murray, and others of note. 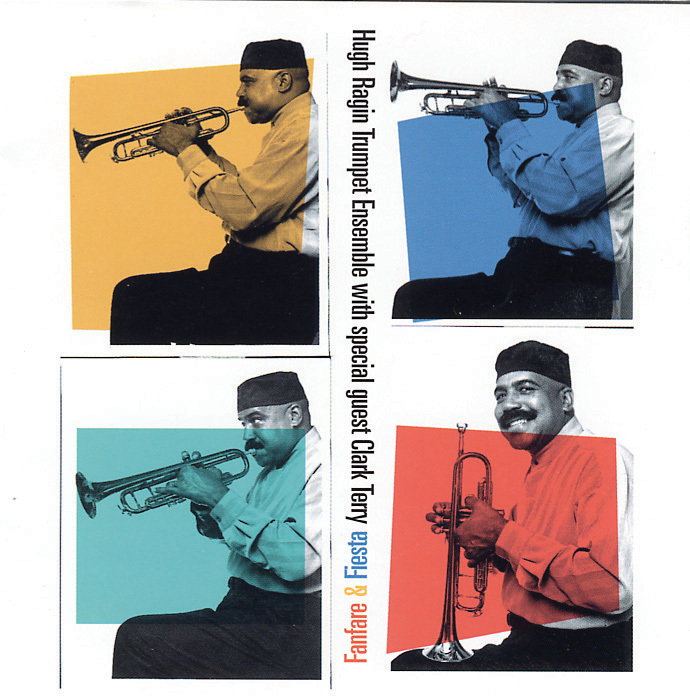 With his second release for Canada-based Justin Time records, the leader surges forward with a four-trumpet front line, also featuring the legendary Clark Terry, who lends his estimable wares on two pieces. The band commences with a Count Basie-style swing groove on the opener, "Finger Filibuster," as pianist Craig Taborn seemingly pursues a Kansas City jazz-style intro, while the trumpet section launches a bold, brash, and altogether irresistible arrangement. This jubilant approach continues on "Fanfare & Fiesta," whereas the horn section engages in a Spanish serenade amid the brass section's punctual statements, that are augmented by some rather slick and apparently difficult to perform unison lines. Basically, Ragin and co. interrogate blues-based themes amid emphatic choruses, torrid soloing, slight injections of free jazz, and climactic opuses. Fanfare & Fiesta is an audacious and refreshing exposition, supplemented by memorable compositions and the ensemble's often dazzling interplay. Recommended!